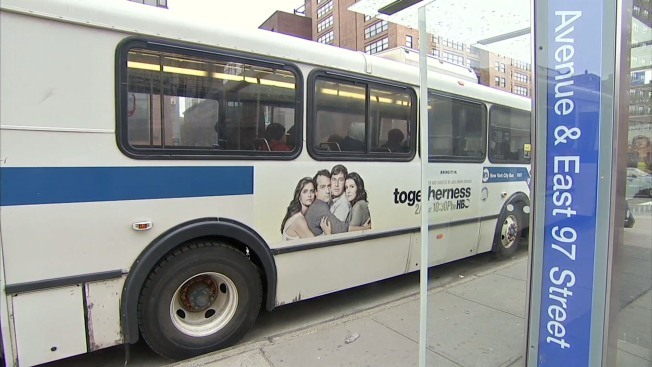 A woman upset about being asked to stop smoking on an MTA bus stole the vehicle and drove it for several blocks on a busy Manhattan street, according to MTA officials and police. Officials said the woman hijacked an M101 bus Tuesday morning near the East 96th Street stop in East Harlem, then drove it for about three blocks. The incident unfolded when the woman, in her 50s, lit a cigarette on the back of the bus, authorities said. When the driver asked her to put it out, she allegedly got upset and refused to get off the vehicle. The driver pulled over at East 97th Street and Third Avenue and let the other passengers off so they could catch another bus. He also called police. The woman got behind the wheel and sped off as the driver was helping other passengers off the bus, authorities say. A second bus blocked the woman's path at East 100th Street and Third Avenue. Police arrived a short time later and took the woman into custody. Police say that the woman allegedly said "people were following me." She was taken to Metropolitan Hospital for evaluation. Charges against the woman weren't immediately available.